When Robert Siodmak is discussed it is almost always said that he only made film noirs. For some this is a good thing, because they think he perfected that form and was its true master, and for others it is a sign of weakness, that he was not an artist but just a director with a lack of integrity and personal vision. 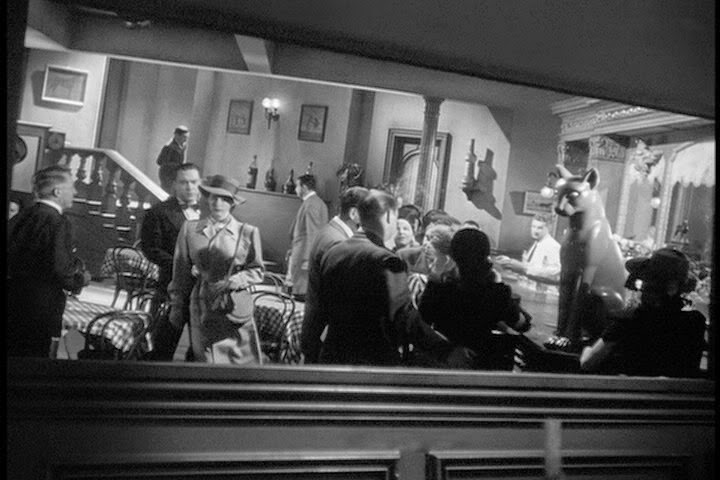 This inability to look beyond noir when it comes to Siodmak does him a disservice however. 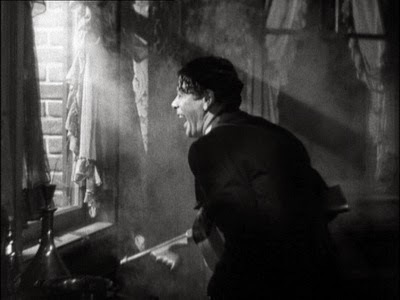 For one thing he did not just make noirs so the whole argumentation is moot, and second, the two filmmakers closest to Siodmak, Fritz Lang and Alfred Hitchcock, are not referred to as only makers of noir even though their careers are rather similar to Siodmak's, and as varied. There is absolutely no reason why he should be treated differently from them. It is particularly appropriate to compare Siodmak with Fritz Lang, and to notice the differences. Lang's style is cleaner, clearer, more geometrical, whereas Siodmak's is more baroque. In Lang's films it is usually society as a whole that is the threat, with conspiracies and dark forces at work everywhere. 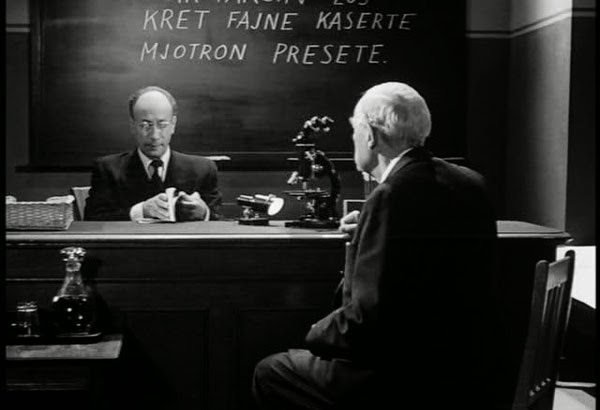 With Siodmak the threat does not lie out there but within ourselves. We bring ourselves down, with our homicidal tendencies and our passions, as in the excellent The Killers and Criss Cross (1949). Some other highlights among his 1940s films are The Suspect (1944), a drama set in England at the turn of the century where a nice old man murders his wife, and The Spiral Staircase (1945), a gothic horror film that also takes place at the turn of the century. (There is no point in calling either of them noir.) 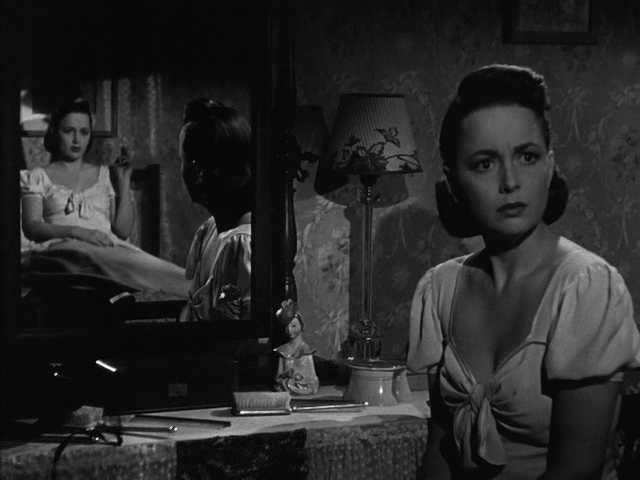 A good but lesser film is The Dark Mirror (1946), a psychological melodrama with the interesting twist that the unconscious has become embodied, as it is about twin sisters, one good and one evil, both played by Olivia de Havilland. The File on Thelma Jordon (1950) is uneven, but part of it is among Siodmak's best work, not least the opening sequence, and Barbara Stanwyck and Wendell Corey are great. I have seen very few of Siodmak's films before and after his time in Hollywood, they are not easy to come by, except People on Sunday (1930). It is a collaboration between him, Fred Zinnemann, Billy Wilder and Edgar G. Ulmer, and very good, a city symphony film and a documentary of how people in Berlin spend their weekends. But there is a lot more to discover. The bottom line though is that Siodmak was an artist with a very particular way of seeing the world, and he expressed that vision in a number of different films. 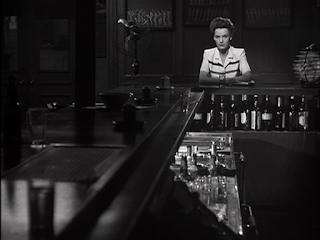 Now, have a look at a sequence from Phantom Lady (1944), a quintessential Siodmak and one of his most bizarre. Maybe even his best. In 1935 the first film photographed entirely in three-strip Technicolor was released, Becky Sharp, directed by Rouben Mamoulian and photographed by Ray Rennahan, a cinematographer who was closely involved with the development of colour cinema. The result is spectacular, as is Miriam Hopkins in the title role. It became the big breakthrough for colour cinema and it is sometimes referred to as the first colour film, but that is of course not true at all. Colour was there from the very beginning, even though it was often added to the film strip after the film had been shot, by tinting or toning or hand colouring. This is what it could look like in 1896, with the film strip painted by hand. And here is another French film, but a feature film this time, from 1903, La vie et la passion de Jésus Christ (Lucien Nonguet, Ferdinand Zecca). It is probably no accident that The Toll of the Sea is set in China; colour was often associated with the exotic, with the "Orient", not least in British cinema during the time of the British Empire. Here is for example A Road in India (1938), shot by Jack Cardiff, one of the greatest cinematographer of all time, particularly famous for his work with Powell & Pressburger. But to get back to 1922, the two strip system was not perfect and it was not possible to film indoors, because so much light was needed, so the system was still a work in progress. Process 3 was better and in the late 1920 and early 1930s a number of colour films were made. And then came Becky Sharp, in Process 4. It was only filmed indoors though. The following year Henry Hathaway made Trail of the Lonesome Pine (1936) outdoors and it worked well, and by now the studios were convinced that this was something that could work. The exceptional successes of Disney's Snow White and the Seven Dwarfs (1937), The Adventures of Robin Hood (Michael Curtiz, William Keighley 1938), The Wizard of Oz (King Vidor, Victor Fleming, 1939) and Gone With the Wind (Victor Fleming, Sam Wood, George Cukor and others, 1939) made clear that it did work. On these, a many others, Natalie Kalmus was the Technicolor supervisor, and as such a very influential person in the development of the look of these films. She was also a person who frequently got in to fights with directors, such as Hathaway and Vincente Minnelli, who wanted to do more with the colours, experiment and be bold, than Kalmus felt was appropriate. But whereas many American feature films were made in full colour now, and some in Britain, in many countries is was not until after the Second World War that colour broke through. 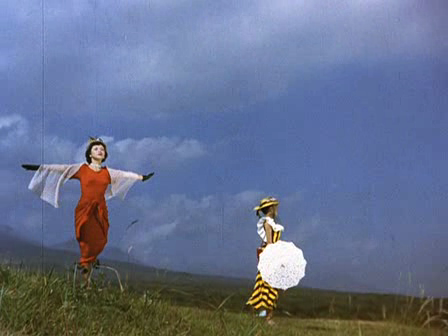 For example Sweden's first colour feature was Klockorna i Gamla sta'n (Ragnar Hyltén-Cavallius 1946), shot on Cinecolor by the American cinematographer James B. Shackelford, and in Japan Carmen Comes Home (Keisuke Kinoshita, 1951), shot on Fujicolor, was the first. Back then whether a film was shot in colour or black and white did not necessarily mean anything, both ways were equally natural, and it remained so at least until the 1960s. But then it began to change. Since colour had taken over so completely from the late 1960s the use of black and white began to mean something; a signal of some kind, maybe "realism", "documentary" or "art", perhaps even a statement. And a few films mix colour and black and white, as when Powell & Pressburger, and Cardiff, made A Matter of Life and Death (1946) in both colour, for the parts on earth, and black and white, for the parts in heaven. Considering its effectiveness it is perhaps surprising that it is not used more often, but it happens from time to time, like If (Lindsay Anderson 1968), or Pleasantville (Gary Ross 1998). Walter Hill has done so in a couple of films too. The above was only a brief historical sketch, and there is a lot more to be said. There are also many theoretical issues involved with film and colour and there will be a post on that further on. Theory readings #1 - Robert Warshow and "The Gangster as Tragic Hero"
When theoretical texts are discussed or criticised it is usually through the use of another theory, on whether it contradicts or agrees with some other text. But for me it is when a text is criticised on its own terms, from within, that it becomes interesting and meaningful. Under the heading "Theory readings" I aim to engage with some theoretical writings (loosely defined) on their own terms, and see where that will take me. The above paragraph, somewhat amended, is from an earlier post of mine called Theory readings - an introduction. This post is the first such engagement; about the writings of Robert Warshow and in particular the article "The Gangster as Tragic Hero". Warshow was born in New York in 1917 and he died from a heart attack already in 1955, the same year as James Agee (who was eight years older than Warshow). 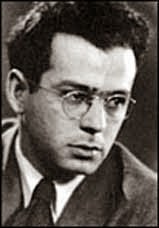 Warshow was a code breaker during the Second World War and after the war he became a writer for the journals Commentary (where he was also an editor) and Partisan Review. He was then regarded as a member of the "New York Intellectuals", together with people like Mary McCarthy, Edmund Wilson, Hannah Arendt and Lionel Trilling. Warshow's father was from Russia and a member of the Socialist Party, and even run for Congress, but Warshow himself was more of a social democrat and very unfavourable towards communism, particularly because of Stalinism and the way too many communists often followed the dictates from Moscow rather than think for themselves. Warshow's particular interest as a writer was popular culture; the way it formed, and was formed by, society. He wrote about books, comics and theatre but the popular art form he was primarily focused on was film. Film, or movies as he always said, was for him "the most highly developed and most engrossing of the popular arts, and which seems to have an almost unlimited power to absorb and transform the discordant elements of our fragmented culture" he wrote in 1954. But unlike many others who wrote about film from the point of view of their impact on society he was not hostile towards the movies, or afraid of them. 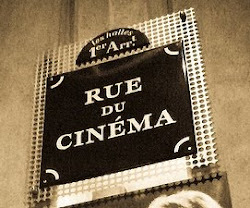 He loved films, and he disapproved of those critics who are concerned about "those elements he believes to be affecting or expressing 'the audience' rather than what he himself responds to". He wanted to take film seriously and "legitimise it". And he felt that he had "developed a kind of 'theory' of the movies, and would expect this theory to emerge" in his writing although he did not want to do any book that could be called "a theoretical work". These quotes above are from an application that he made for a Guggenheim Fellowship, with the aim to write a book about films. That book never came to be because of his early death, but in 1962 most of his writings were published in The Immediate Experience - Movies, Comics, Theatre and Other Aspects of Popular Culture. His two main essays on film and society are "The Gangster as Tragic Hero", first published in Partisan Review in 1948 and "Movie Chronicle: The Westerner", also first published in Partisan Review but in 1954. Another good but lesser known essay is called "The Movie Camera and the American", first published in Commentary in 1952. In "The Gangster as Tragic Hero" Warshow makes the argument that in USA happiness and cheerfulness is more or less a nationally prescribed state of mind (with " an obligation of citizenship to be cheerful" as he puts it) and he argues that in the US, and in Russia as well, it is considered dubious, perhaps even unpatriotic, to be unhappy in public so feelings of unhappiness must be kept hidden from view. But the happiness is constantly reinforced by popular culture. "Nobody seriously questions the principle that it is the function of mass culture to maintain public morale, and certainly nobody in the mass audience objects to having his morale maintained." And he feels that even "sad" films serve this purpose, when "death and suffering" are used as "incidents in the service of a higher optimism." However, unlike many others who discussed the impact of mass culture on the people, he did feel that there were pockets of resistance. Among the examples he gives that do not participate in this upbeat cheerfulness are jazz, soap operas (on radio, not TV, since this is 1948), certain comedies, such as the anarchy found in the films with the Marx brothers, and, above all, the gangster films. The gangster film, he claims, "has been a consistent and astonishingly complete presentation of the modern sense of tragedy." The force, and the subversiveness, of the gangster movie comes from the fact that they are about men who pull themselves up from the gutter and reach fame and glory, i.e. they are the embodiments of the American dream, but this then ends in isolation, paranoia and death. The American dream is shown to be a nightmare, and through the common "experience of art" the audience can live vicariously this American dream that seem unattainable to them, and then they can enjoy the gangster's demise at the end, the punishment of success. The gangster "is what we want to be and what we are afraid we might become." 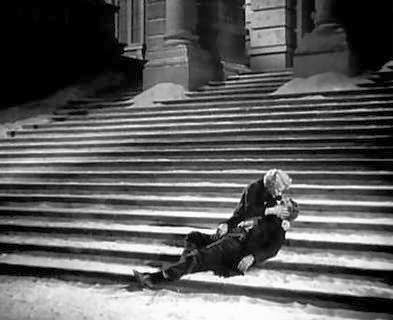 The ending of The Roaring Twenties (Raoul Walsh 1939). Another point against Warshow is whether it really is "the function of mass culture to maintain public morale". For one thing that depends a lot on how you define "function", "mass culture", "maintain" and "public morale". Does "maintain public morale" mean "keep people happy and content"? If that is so, how come mass culture is so often criticised for making people violent, discontent and predatory, rather the opposite of happy and content? And if mass culture has this function "to maintain" how come so much of it, even according to Warshow, does not maintain this morale? And how is "mass culture" different from "high culture"? If one thinks that mass culture maintains public morale, whatever that is, cannot it equally be said that high culture, for example Henry James and Johann Sebastian Bach, also do this? Wherein lies the difference? Or do The Heiress (William Wyler 1949) "maintain public morale" among those who watch it but if they were to read the novel Washington Square by Henry James instead (on which The Heiress is based) they would not be maintained? How would this function work? No, this is not Warshow's strongest argument. The later article "Movie Chronicle: The Westerner" continues Warshow's discussion about the gangster (he is "the 'no' to that great American 'yes' which is stamped so big over our official culture and yet has so little to do with the way we really feel about our lives.") and then compares the gangster to The Westerner, who Warshow sees as in many ways the opposite of a gangster, even though they both carry guns. It is sometimes said that this article is about the Western as a genre but that is not really correct. It is more accurate to say that it is about a certain recurring character in many Western films. It is a very good article, but it will be dealt with in a later post. For those who want to compare with other, similar writings, one obvious place to start is the work of Siegfried Kracauer, who however can be rather elitist and patronising at times, not least when he writes about "little shopgirls". That Ingmar Bergman was a monumental person has been exemplified many times, in many different ways, and that he was regarded as such around the world. But his overwhelming importance was of course largest in Sweden, a country which is rather small, population-wise, and very centred on Stockholm. He was a constant presence everywhere, inescapable, even children too young to have seen his films were aware of him. (In my thesis I suggest that he was one of a handful of national father figures that Sweden had, others being the prime minister Tage Erlander, in office 1946-1969, and the radio- and TV-personality Lennart Hyland.) He was not just artistically involved but also politically, having connections with the Social Democratic Party, a party which had been in power since 1932, often alone, sometimes in coalition. In 1976 however a major collision occurred between Bergman and the party. On January 30, 1976, Bergman was at Dramaten (the Royal Dramatic Theatre in Stockholm), rehearsing a play by August Strindberg, when two policemen came to take him in for questioning for suspected tax evasion. There is some confusion as to what exactly happened at the theatre but Bergman was taken to police headquarters and questions for hours. The issue centred primarily on the company Persona Film AG, based in Switzerland to handle Bergman's international finances, including a cooperation with Federico Fellini and Akira Kurosawa, which never happened, and Bergman's other company Cinematograph, based in Sweden. Bergman had liquidated Persona Film after Riksbanken (Sweden's central bank) had wondered whether it was legitimate. Now the Swedish tax authorities were convinced that Bergman owed a lot of taxes because of his dealings with these companies and had alerted the police that he must be apprehended before the case reached its statute of limitations. After being questioned his passport was confiscated and he was forbidden to leave Stockholm; he was not even allowed to go back to Fårö. If convicted he risked up to two years in prison. He had had problems before, in 1975, but he had won his case in a lower court. Now the problems had come back with a vengeance. It was not only Bergman who was investigated but also several of his friends and actors, including Bibi Andersson and Max von Sydow. Bergman's lawyer Sven Harald Bauer was also indicted. But two weeks after the arrest at Dramaten a new attorney was assigned to the case and after a few more weeks of investigations and deliberations he concluded that Bergman had not committed any crimes and the case was dismissed. It was appealed against but the appeal was dismissed. This was in the end of March 1976. The tax authorities were not pleased though and continued to demand that Bergman paid back taxes, and quiet a lot of it, over a million Swedish crowns. This too was eventually dismissed and in the end Bergman had to pay only an additional corporate tax of SEK 150 000. And that was the end of the affair. The cases against his friends and actors were also dismissed. During all this time Bergman himself was hospitalised, having suffered a severe nervous breakdown after the first questioning at the end of January. He was eating a number of medicines that kept him calm and the demons at bay. But after months of being in this sedated state he suddenly got angry and decided to fight back, and he wrote a letter to one of the biggest daily newspapers attacking the police, the tax authorities and the Swedish state (which was at this time more or less synonymous with the Social Democratic Party). He said that he had always been a committed social democrat, and that he had always felt that Sweden was the best of all countries to live in, but now he had had second thoughts. (Personally he also felt that he was betrayed by Olof Palme, who had been prime minister after Erlander stepped down, and who was fairly close to Bergman.) He declared that he was leaving Sweden. After travelling to Los Angeles, Paris and investigating Norway and Denmark, he settled with Munich, Germany, and stayed there for about six years. As can be imagined the press and mass media in general were filled with articles, open letters, debates, opinions and anger. Anger at how a person could be so humiliated and tormented this way or anger that the rich and famous always tried to get away from their responsibilities. Bergman had in the late 1960s been criticised by left wing artists, writers and politicians for his "bourgeois" values and they were of course thrilled by this new offence that Bergman had apparently committed. Internationally the case also generated massive attention; a combination of bewilderment at the wayward ways of the tax authorities and sympathy for Bergman. Even the Soviet newspaper Izvestia wade in, seeing it as typical of the capitalist West that it would interfere with the life of an artist, preventing him from working in the peace and quiet he deserved. And Olof Palme was concerned with the bad press that Sweden was getting, from everybody it seemed. Bergman also received many invitations from abroad. Producers, politicians, mayors, filmmakers and film institutes from all corners of the world wrote him and suggested he moved there. It was not only Bergman who was in the spotlight for tax reasons in 1976. 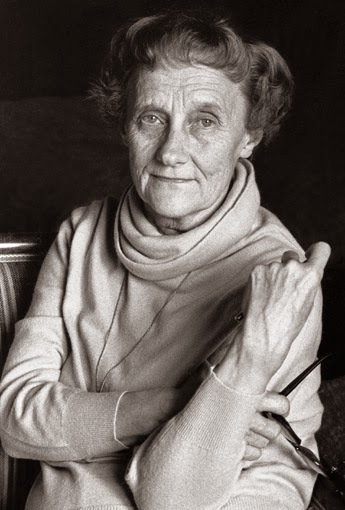 In March that year Astrid Lindgren, the author of children's books such as Pippi Longstocking, Mio, My Son and Ronia the Robber's Daughter, wrote an attack on the tax system in the form of a satirical fairy-tale that was published in one of the largest newspapers in Sweden (the same one as Bergman had his piece published, Expressen). The origin of the story was that she had found out that she was paying 102% in taxes on her income from the previous year. Like Bergman she was also a social democrat but now she had had enough. The finance minister, Gunnar Sträng, made the unfortunate decision to publicly ridicule her (what did she, just a writer of children's books, know about politics and taxes he wondered). Considering that Lindgren was perhaps the most beloved person in the country it is no surprise that this backfired, especially since she was right and he was wrong. How much these two cases mattered at the general election in the autumn of 1976 is of course a matter of speculation but the Social Democratic Party lost that election to a center/right coalition. For the first time in 44 years the party found itself outside of government. Whether Bergman and Lindgren got some satisfaction out of this I do not know. Speaking of Astrid Lindgren, I have long felt that Ridley Scott should make a film based on one of her fantasy books, especially Mio, My Son. It has been made into a film before, Mio in the Land of Faraway (Vladimir Grammatikov, 1987), a Swedish-Norwegian-Soviet co-production with Christian Bale in his first role, but it deserves a new version.